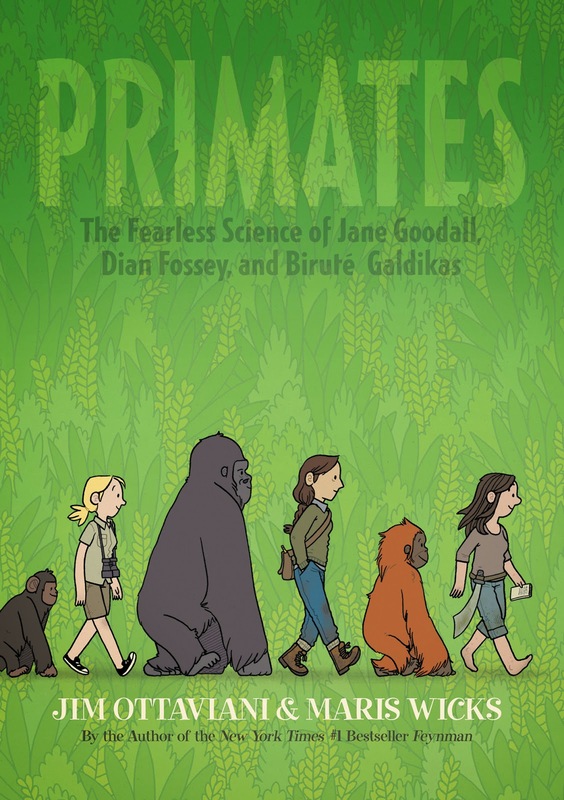 My favorite thing about this site is getting to learn about all these fantastic new picture books and seeing the big, beautiful covers and excerpts. It can be somewhat overwhelming to take in this much amazing art in one place. My local public library only allows me to put fifteen books on hold at a time, but I want to read them all! 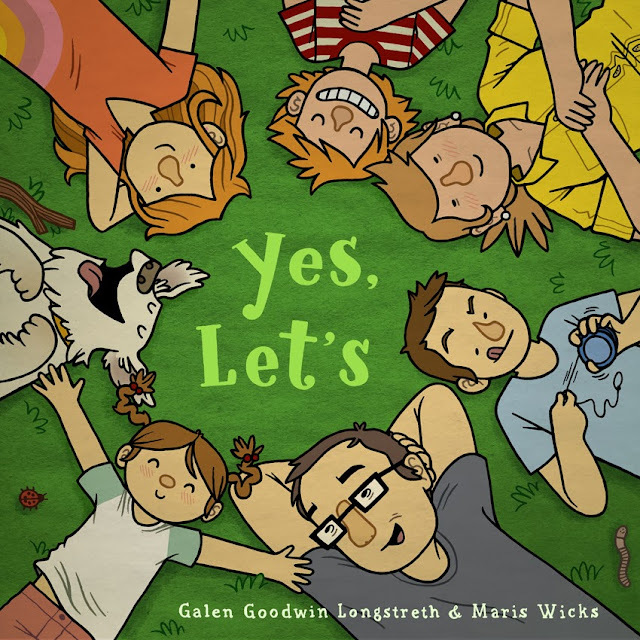 It's that spirit (and because our new book, The Cute Girl Network, is more for older teens and adults), I thought I'd talk about one of my favorite picture books of 2013: Yes, Let's by Galen Goodwin Longstreth and Maris Wicks. Yes, Let's is the story of a large fun-loving family that heads out for a day of hiking and swimming in the great outdoors. 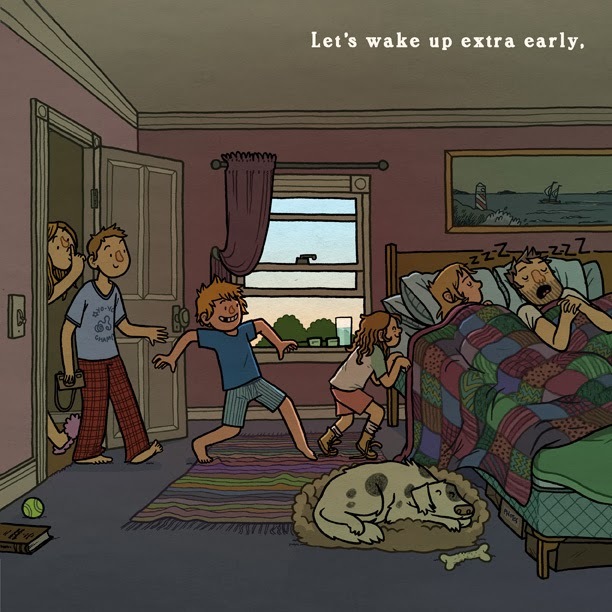 It starts with the excited kids getting up early to wake their still sleeping parents (a la Christmas morning) and ends with the kids collapsing from exhaustion in the parent's bed after finally making it home late at night. In between, they fill the day with road trips, sing-alongs, cartwheels, water wings, daisy chains, card games, milkshakes, fireflies, and all the things that make these little adventures so memorable. This might be a good book for bedtime because of how very tired everyone is by the end of the story. It's also fantastic for long car rides. My favorite thing about the book is how much is going on in each scene. 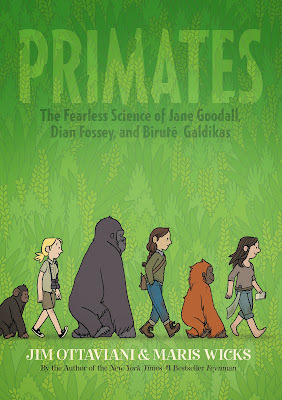 The authors do a great job of managing all the characters (two parents, four kids, and a rambunctious dog). 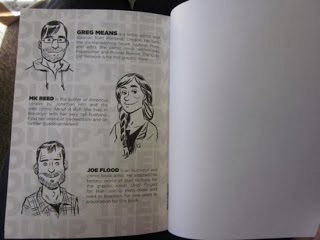 They each appear on every page of the book and they each have their own story line. There's even a secret story line in the background involving a squirrel and a stolen sock. All this makes it hold up really well for multiple readings. There's even a checklist on the endpages of all the wildlife to look for in the woods. 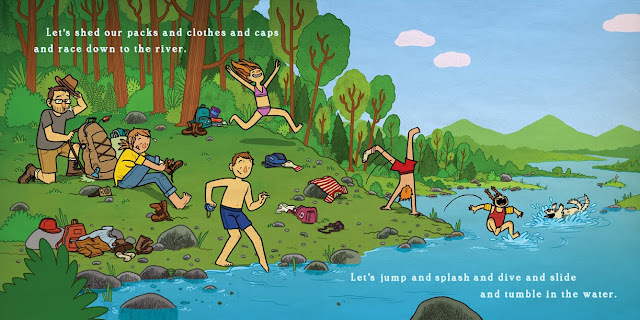 First time author Galen Longstreth tells the story in rhymes and starts each line with the word "Let's", which acts as an invitation for the reader to join in the fun. 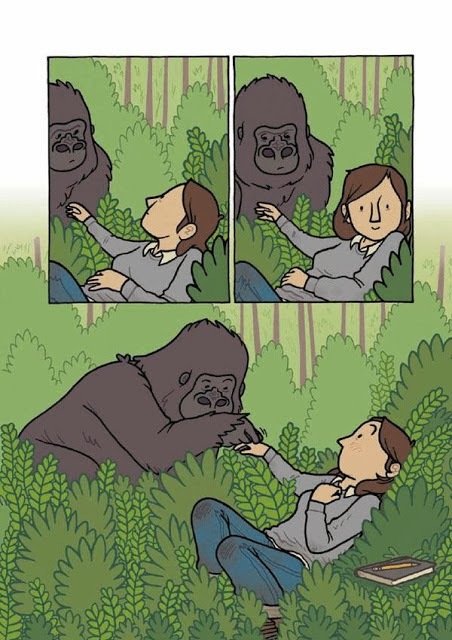 Artist Maris Wicks (who's excellent graphic novel Primates also came out this year) is a master at drawing foliage and tiny forest creatures. 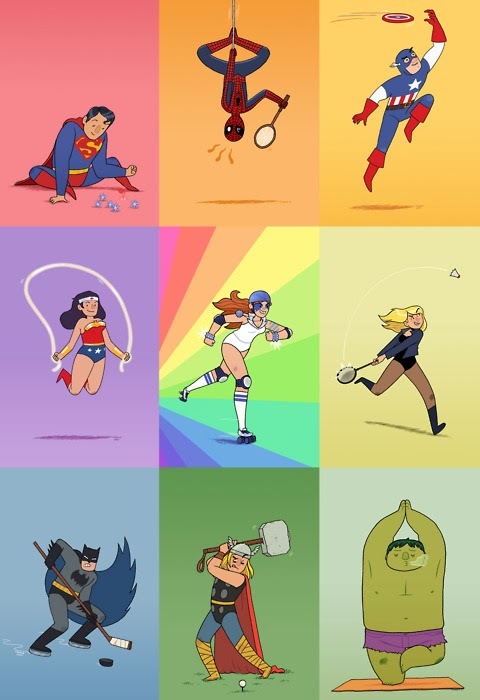 Who knew tadpoles could have so much personality? 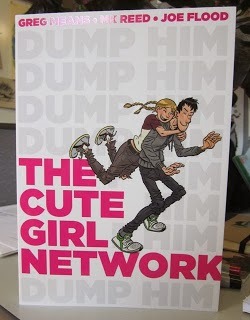 And if you're looking for something to read after the kids go to bed, why not try my new graphic novel The Cute Girl Network (with co-authors MK Reed and Joe Flood). 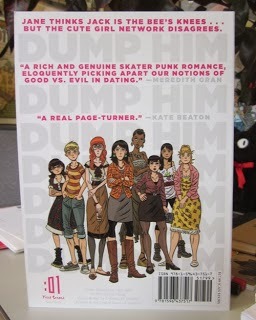 It's a rollicking romantic comedy about a skater girl, her clumsy boyfriend, and the vast conspiracy of women telling her to dump him. It's a fun book too. Full disclosure: Galen and Maris are friends of mine.